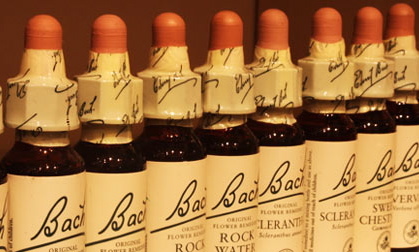 Flower Essences are a form of natural medicine, that take effect by treating the individual and not the physical symptoms someone may be experiencing. They work specifically on the emotional condition of the person. The effect of taking the essences is not to suppress negative attitudes but to transform them into positive ones, stimulating ones own potential for self healing. All flower essences deliver a quality or positive virtue to the soul and because of that , the physical self is able to find balance and work to feel balanced and whole. Dr. Bach believed everyone had the capacity to find the healer within and use the flowers for themselves and their family members. I provide consultations to help find the correct flowers combination for a person until a greater understanding of the flowers is achieved by the individual, at which time they can create their own flower essence combination. I also provide consultations for Cell Salts which are homeopathically prepared from the basic mineral compounds that the cells in the body depend on. All twelve cell salts help stimulate proper use and assimilation of these vital nutrients.